Girls with Guns Return With A Fresh and Exciting Slot! “Girls with Guns” return to GoWild Casino with a fresh and exciting slot! Continue reading this article for more info about the new video slot at this fantastic Microgaming casino! The stars of Girls with Guns return in “Frozen Dawn” this April at GoWild Casino. They have ventured to the arctic to bring the alluringly evil Saskia to her knees. This explosive five-reel slot will treat you to a cache of heart-stopping features. If you liked the first Girls with Guns you will definitely like the sequel. And if you never play, you will never win! Good luck with the brand new Girls with Guns! We will let you know more about the launch when it happens - some casinos will probably celebrate it with free spins or special deposit bonuses! Three new exquisite mobile slots will be available on GoWild Casino's mobile platform starting from April: “High Society”, “Hitman” and “Eagle`s Wings”. High Society is the first game ever to launch on all platforms simultaneously. 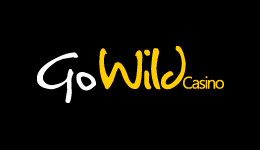 Check it out at GoWild Casino. Starting from April, the casino's Swedish and Norwegian players will be able to deposit using their national currencies: Swedish Krona and Norwegian Krone. One of the banking methods that will allow the use of these currencies is NETELLER. That is great news if you are player from the Nordic Region!